I Am Thomas is a brutal but magical musical reminder that we are no longer living in a time when our words can flow freely without sometimes terrifying result. 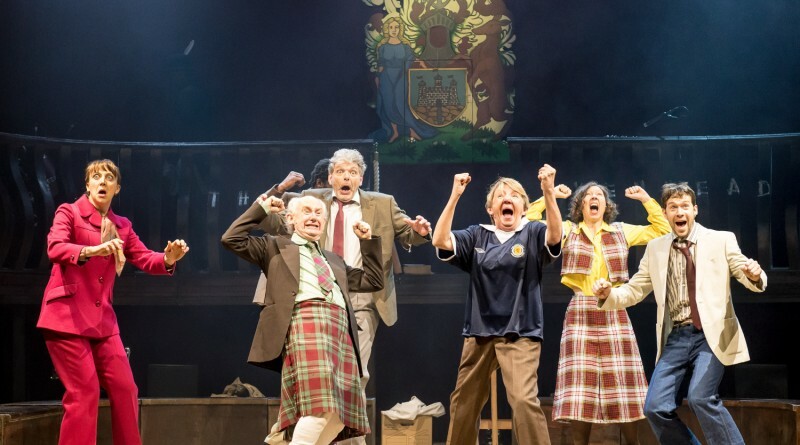 The Lyceum Theatre in Edinburgh has played host to a daring and socially challenging musical by London-based Told By An Idiot. It is almost incomprehensible to consider how such serious subject matter as the last man in Britain to be sentenced to death for blasphemy, could ever be dealt with by humour – but the talented cast have pulled it off. 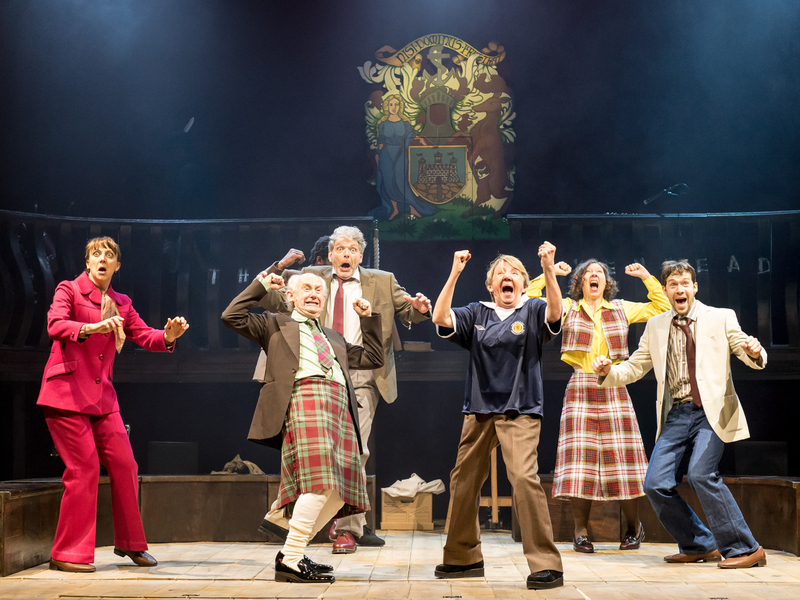 Using political commentary injected with black wit, the audience is treated to a delightful offering of musical and comedic prowess, as they learn the little known history of Thomas Aikenhead, a 19-year-old student who questioned religion in the January 1697. As each cast member takes a turn to wear a ‘I Am Thomas’ T-Shirt, taking on the role of the doomed young man headed for the gallows, it becomes clear the play is mirroring last year’s moving #JesuisCharlie hashtag, which spread across Twitter in the wake of the brutal murder of 12 Charlie Hebdo workers on January 7 last year. As the world knows, the cartoonists had been killed in an attack claimed by al Qaeda after the terror cell claimed the satirical magazine insulted the prophet Mohammed. Similarly in his age, Aikenhead was viewed to have dishonoured the church and God himself. 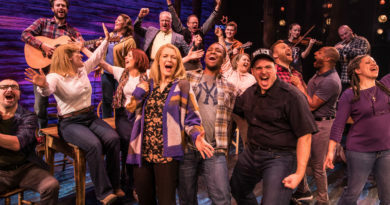 Though serious in intonation, the show offers moments of humanity captured emotively in song and complemented by humour that cuts close to the bone. As Aikenhead’s life hangs in the balance, the audience is reminded of our society’s grim fascination with reality TV as football commentators discuss his potential death as though it was a live match. 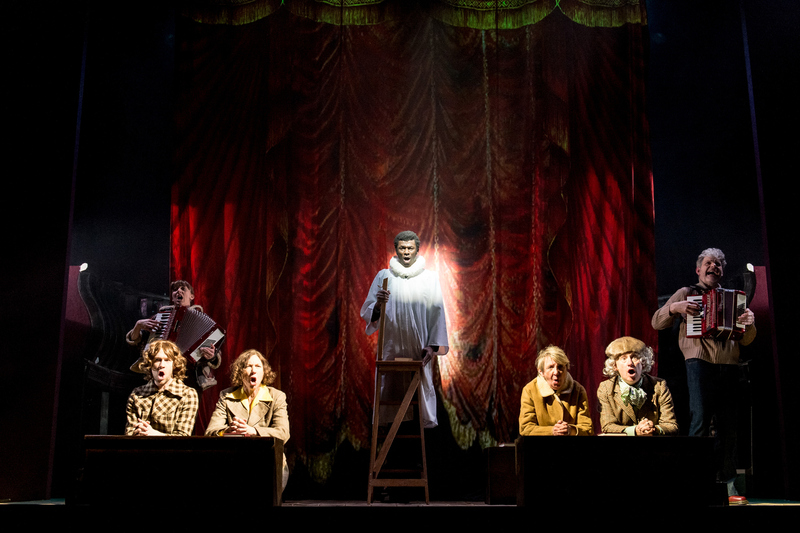 Aikenhead, played by all eight cast members throughout the show, is depicted as a singer-songwriter who chooses to sing a song questioning religion in a city pub in front of an audience. The young man later tells the Lord Advocate James Stewart that he only bore an inquisitive mind and apologised for his sins but Stewart, portrayed as a God-fearing man who bears the pain of losing his own mother and wife, condemns Aikenhead to death. With bitter irony a community group in the modern day favour Stewart as the namesake for a statue in the city rather than Aikenhead. It seems a question is posed of those who are held in positions of power today. 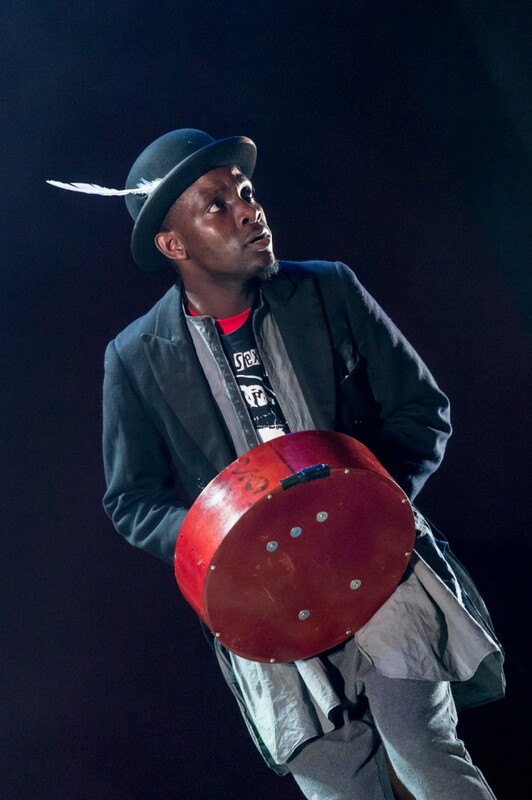 The serious nature of the show is however, made mystical thanks to the power of its songs and notably by the most talented singer of the production, John Pfumojena. Created by poet Simon Armitage and performer/composer Iain Johnstone, the music is at the heart of the play. At times the performers helped the audience understand the possibility that as humans we are constrained by the chains of our age but we are always, truly free. The death scene is extremely moving and suddenly all sign of comedy has died to make way for Pfumojenaby, the final Aikenhead, to allow his beautiful, soulful voice to allow us to hope and believe that the doomed man has suddenly found himself in a position of unexpected liberty as no man can question him again. 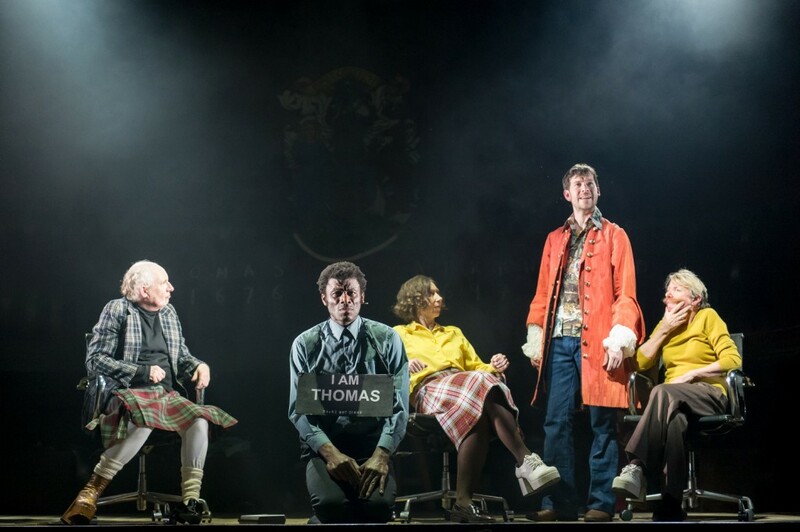 I Am Thomas is showing at the Royal Lyceum in Edinburgh until Friday, April 9; Eden Court Theatre, Inverness – 16-20 April, Wilton’s Music Hall, London – April 20-30.